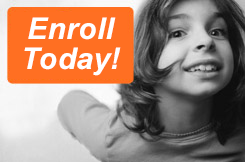 We have a variety of programs available for different age groups. Please contact us or call for more information! We are located in Altoona just off of Hwy 12 and Hwy 53. We offer a great location if you live or work in Altoona, Fall Creek, Eau Claire, or Chippewa Falls.